Regardless of who originally wrote or placed the order, the Buyer is locked out of making any changes once the order has been placed. Sellers are always able to make direct edits to placed orders by saving them as Revisions. 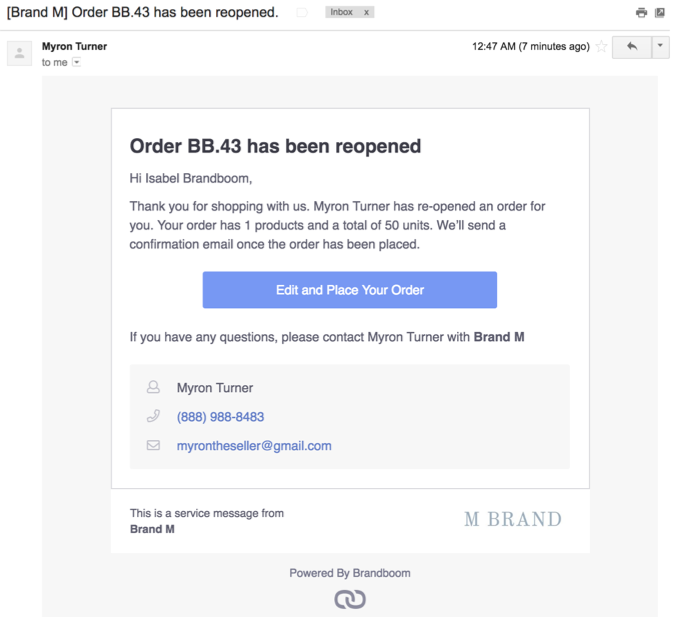 To allow further editing on the Buyer side, the Seller must change the Order Status from either Processing or Complete to "Reopen". Note: It is not possible to send the order link directly to the Buyer to view/edit. This will automatically send an email notification to the Buyer, letting them know that the Order has been reopened for edits. The buyer can then revisit the order and make changes.